Our 30 gallon drum is blue with a natural colored cover. The cover is removable and is held on with a lever locking ring. The standard cover that is sold with the drum is solid with no fittings. 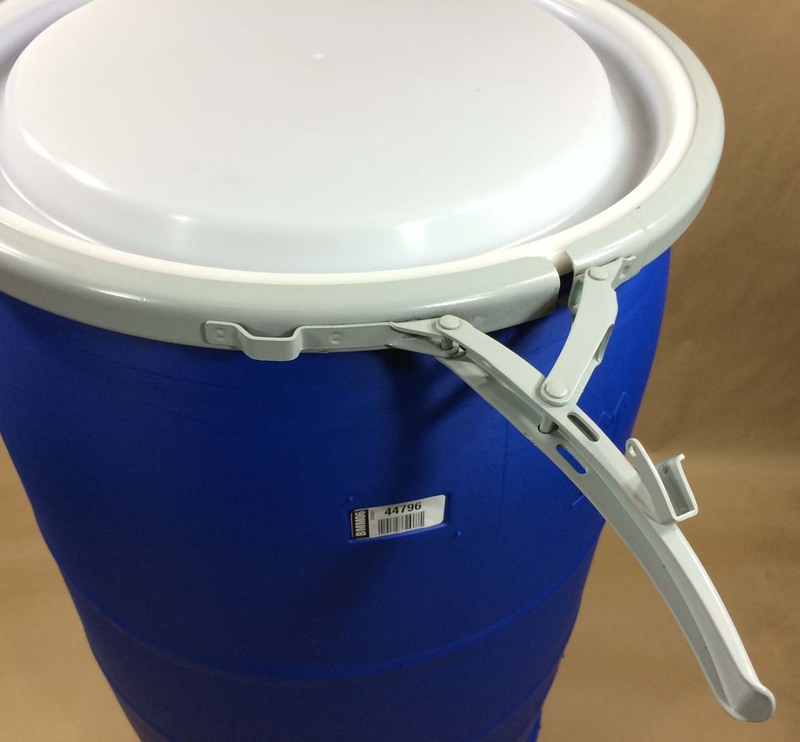 The stock drum is sold with a solid cover, however, if you need fittings you may purchase this drum with fittings for $1.00 more.